When your property first enters the market as a new listing, this is the time it will receive the most interest and enquiry. We call this your premium price opportunity. At Harcourts we believe it is all in the preparation. We can advise you on possible improvements that could increase the value of your property and will have completed through research to help you establish an expectation of price. We will make sure we have prepared every detail of our marketing strategy ready to launch your property to the market at its best during this critical time. South Africans are certainly facing tough economic times and with petrol set to skyrocket by R1.01 a litre and diesel by R1.24 in October, no relief for the short term seems to be on the horizon. Real estate has felt the knock-on effects of many of these economic cycles and certain markets have been adversely affected, however one part of the sector seems to have shown far more stability, and that is affordable property. South Africa has slipped once more into a technical recession and 2018 looks set to be the third year in a row for real house price decline, yet the property market is far from dead assures property experts. What is important is to adjust to the new market realities as they are here to stay for a while. Another exciting sentiment shared by the report states that banks are increasingly more willing to lend the full value of a property without requiring a deposit. The average deposit over the entire market decreased by 6.4% year-on-year. For many first-time buyers the need for a sizeable deposit and stricter lending criteria implemented over the past few years greatly influenced the decision to buy. Having to apply for another loan to cover the deposit amount might put affordability of the home out of reach. There are still corners of the market that remain under pressure and will continue to do so, however with the information emanating from ooba's report, both buyers and sellers are expected to benefit from this improved activity. From a holistic perspective we're definitely dealing with a buyer's market, yet with banks letting go of the reigns more buyers will enter the market and create greater demand which ultimately leads to a far more beneficial environment for everyone. If you’re renting - now might be the best time to consider purchasing a property. With interest rates cut by 25 basis points, bringing the repo rate to 6.5% and the prime lending rate of banks to 10%, your value on monthly property expenditure might be more in your favour if you buy now. The property market is often overshadowed by the investment intentions of sellers and buyers, forgetting the emotional aspect of purchasing a home for you and your family. The nostalgia many of us carry with us about our childhood home is often a major factor when buyers gravitate toward a suburb or particular home. Jerry M. Burger, Ph.D.,a professor of psychology at Santa Clara University in the US, explains in his book - Returning Home: Reconnecting with Our Childhoods, that "one's home is a part of personal identity for many people; i.e., an extension of their self. And it is during these early years that children develop a sense of self independent of their families. Homes also are almost always the place where children spend the largest part of their time, as well as the location for many of their most emotional experiences." He further identifies that he was surprised by the depth of emotion many people feel for their childhood home. It is with this being said that it is incredibly important for property professionals to take these emotional elements into consideration when taking part in a financial transaction. We at Harcourts experience these sentiments on a daily basis, from both sellers and buyers. Sellers saying goodbye to a member of the family in a way and buyers yearning for a nest where all their dreams become a reality. This is why a certain amount of finesse and understanding needs to take place. Despite the obvious large investment aspect and stress buying a home can bring upon, the human factor is a big part of it. We believe that the true craft is the ability to combine all these facets, sound investment advice, in-depth market knowledge as well as the emotional aspects of the process. At Harcourts our foundation is our Values system. An ethos we live by. A Mantra that ties us to our clients by building relationships, in order to understand the depth of the purchase. 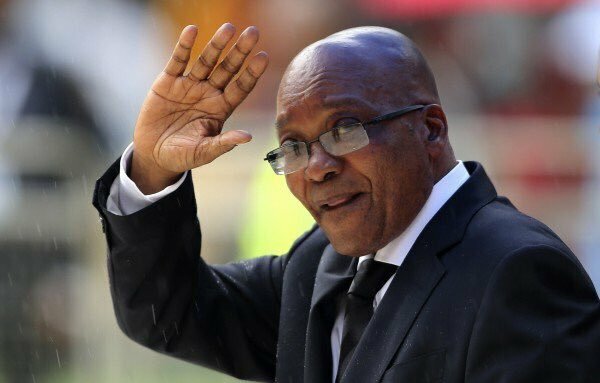 Former President Jacob Zuma's resignation yesterday evening propelled investor confidence back into positive territory. The Rand has already gained a lot of ground in the past few weeks and as it continues to strengthen it might relieve some of the price pressure the South African consumer has been experiencing. There is no doubt that the political climate in South Africa and Government related activities have influenced our economy. Local investors as well as foreign investors, both buyers and sellers, have been gun shy in certain markets and at times apprehensive to invest, especially in the residential rental market. Traditionally property defies a lot of the immediate reactions due to its long term nature, however the commercial and rental markets might react more sharply to these changes. There is also a good chance we'll see increased activity in flat markets and a renewed interest from buyers and sellers alike. When a stable and growing economy has the ability to set a tone that puts the activity in the market at ease opportunities are created from areas of the economy previously dampened by rhetoric and legislation amendments that threatened property ownership . These shifts in Government have been received positively to a large extent by international markets, as we saw Emerging Market experts from Wall Street in the U.S. predict positive changes for South Africa. This will do wonders for our foreign investment market as perceptions and media opinions certainly influence the external view of local trading. It is important to note though that there are still many political and fiscal challenges and by no means are we immediately saved by the former President's resignation. However, it is the optimism of a renewed commitment to growth and stability that South Africans so desperately need. Many of us closed off the year anxiously monitoring the ruling party's executive committee election. For the large part it's important for us to show an active interest in the direction our country is moving in, in the other sense we desire a Government that is transparent and has the best interests of its people at heart. The economy certainly experienced quite a number of dramatic shifts during 2017 and some markets were effected, be it positively or negatively. Harcourts for one experienced defiant growth, showing that many South Africans remain active in an uncertain economy. What does 2018 hold? It is always difficult making predictions, as there are an enormous amount of factors to take into consideration. With both external and internal elements influencing the markets, forecasting cycles is purely based on interpretation of data. Taking the trends we're already moving toward into consideration - digital and technological evolution is a major focus point of the property market. We've seen the portals incorporate virtual reality, video functionality and drone capabilities to ensure more detailed data for clients, at Harcourts we're equally dedicated to the advancement of more accurate visual representation of homes. We've also monitored how digital marketing has majorly influenced client and agent interaction, and this is certainly going to intensify during this year. Another technological point being incorporated into the property market internationally and locally is digital funding models - like cryptocurrencies and crowdfunding real estate. This will surely be hot topics throughout the year. Another point to take note of are the knock on affects of the political climate in South Africa. Often the negative reactions to short term economic changes are only felt the following year. On this point I am very hopeful that there will be more stability in the political messaging from Government, as well as less major ministerial suprises, however this is difficult to predict. Consumers might be in a price pinch for a little while longer, but the market already seems to be gaining momentum. Property outweighs a lot of the immediate reactions due to its long term nature, however the commercial and rental markets might react more sharply to any more surprises. An element of change in markets across the board which Harcourts is very excited by and spent a lot of time developing and improving is the corporate shift of focus back to client service. The internet has spun the wheel of change into the favour of the client, where it should be, and the prominence of consumer ratings platforms has forced corporate entities to be held accountable for their actions. It is shift that has had to happen. When services are dedicated to impeccable client experiences the bar gets raised and the dynamic in the relationship is strengthened. This is where Harcourts lives. These are only a few interests I touched on, and there are many other market elements going to progress throughout the year. All in all, we're focused on continuing our incredible growth cycle and maintaining our rapid evolution and client focus.